Ready for a spooktacular Halloween night? 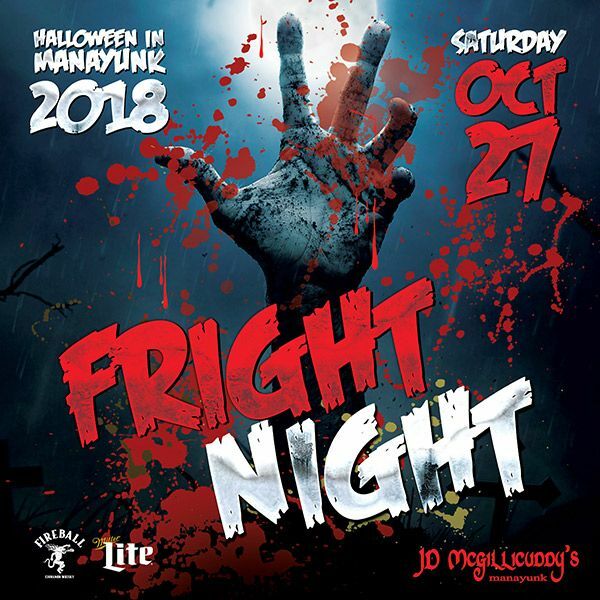 Then join us at JD McGillicuddy's for Fright Night! We will celebrate this bone-chilling holiday right with drink specials, 3-hour vip open bar, costume contest, and live DJ music all night! Bring your friends, there's safety (and more fun) in numbers! This event sells out every single year. Tickets will be available for purchase at the door only if the event does not sell out in advance. Just one block off of Main street at 111 Cotton St in downtown Manayunk, JD McGillicuddy's is a great place to watch the game, grab a burger, play quizzo, listen to live music and dance the night away.